Some wonderful pics from the interior shop of Olsson & Jensen in Helsingborg, Sweden. I love the way how they combine raw materials with a touch of vintage and something new for the original and personal style. A perfect place for hibernating. This is the lovely home of Norwegian ceramist Maria Øverbye, an old school house from 1893 located in Oslo. Maria creates odd little creatures made of plaster and metal wire. The lovely weatherboard cottage of the artists Nicola Hensel and John Turier was featured in the april issue of Australian Country Style magazine. Enjoy summertime with these lovely pics. Yellow like the warming sun, fresh lemons, lovely daffodils or cute little chicks… simply springlike. 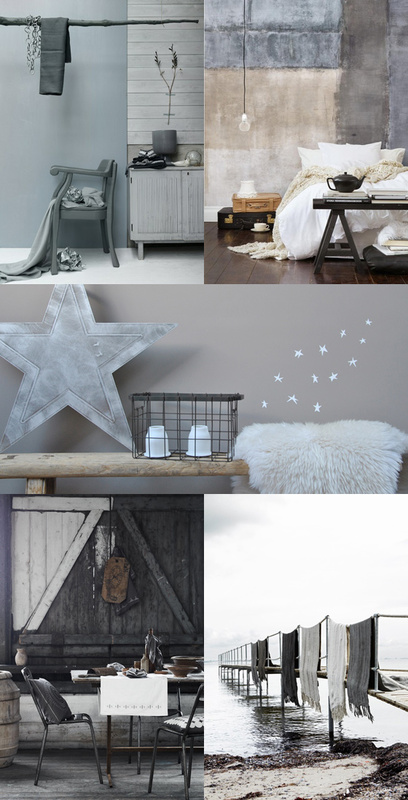 Combined with a touch of fading grey, it’s a perfect color association for a cozy interior. I love the monochrome atelier of Danish artist Tenka Gammelgaard. I love Grey, even the Grey of November days. Photos via Pinterest, Tumblr, La Maison d’Anna G.